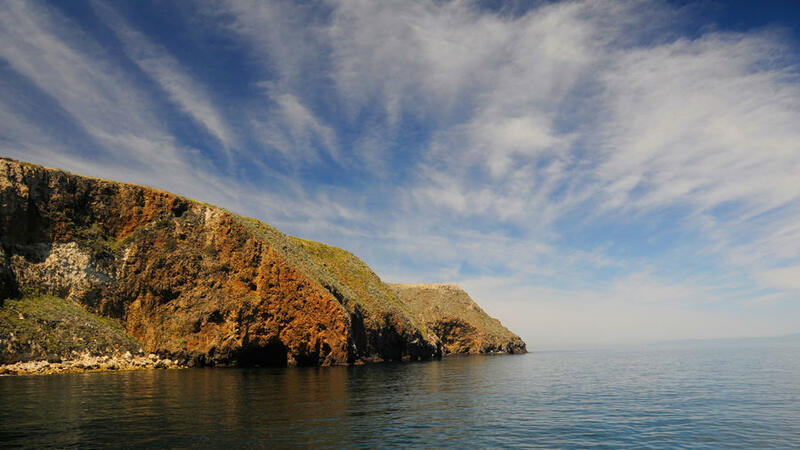 Pick one easy-to-reach island—Anacapa or Santa Cruz—and take one of Island Packer’s day boat trips. Or, if you’re with a group, fly out for the day to Santa Rosa Island. Or, opt for one of the day tours that will take you kayaking or snorkeling in Anacapa’s or Santa Cruz’ waters. Reachable only by boat, this cove on Middle Anacapa has some of the richest and most beautiful tide pools anywhere on the Pacific Coast. Anacapa. Boats to Anacapa leave from Channel Islands Harbor in Oxnard or from Ventura Harbor; you can choose trips that take you to Landing Cove on East Anacapa or, November to April, to the tidepools of Frenchy’s Cove on West Anacapa Island. Santa Cruz. Probably the most popular Santa Cruz Island trip takes you to Scorpion Anchorage, which gives you access to great nearby hiking and gorgeous Scorpion Beach. The trip to Prisoner’s Harbor takes a little longer (1 and ½ hour) but the harbor is beautiful and tends to be less visited than Scorpion. 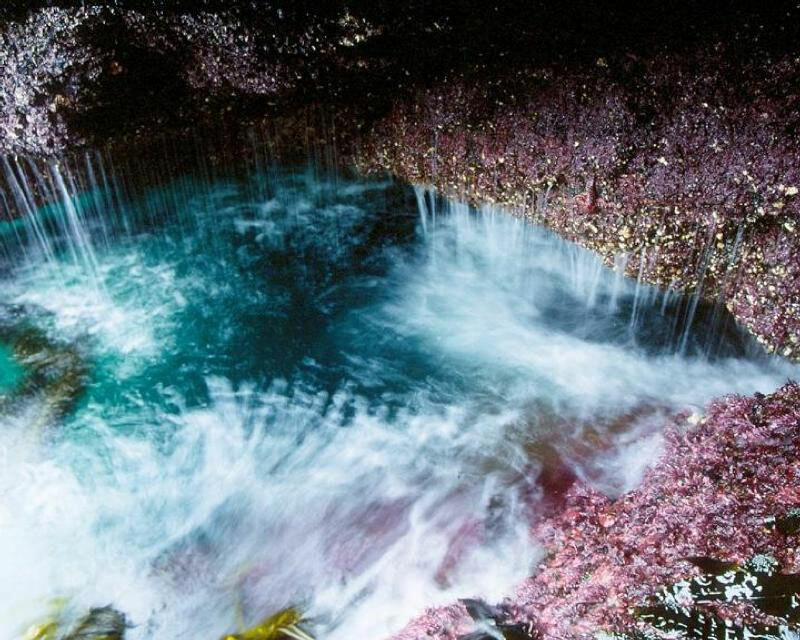 Island Packers also offers a limited number of trips to Painted Cave, one of the largest sea caves in the world. Santa Rosa. Channel Islands Aviation runs day and half-day tours departing from Camarillo Airport; trips include guided hikes and drives on the island. Assemble a group: fares start at $1,200 for up to eight people per plane. Before/after the trip. Ventura Harbor departures put you right next to the Channel Islands National Park Visitor Center. Unfortunately, because boats tend to depart fairly early and come back fairly late, you’ll probably have a pretty rushed visit at best. If you’re in town the next day, the center’s exhibits and films are worth an hour or so of your time. Where to eat. At Channel Islands Harbor, Coffee and Kitchen (3500 Harbor Blvd., Oxnard; (805) 204-0008) is good for pre-voyage coffee. If you have a little time, local favorite Mrs. Olsen’s Coffee Hut (2800 S. Harbor Blvd., Oxnard; 805/985-9151) makes one of Southern California’s best breakfasts. At Ventura Harbor, is fine for breakfast and coffee. For dinner, has pretty much anything you’d want from a harbor restaurant: nicely grilled fresh seafood, excellent chowder and crab cakes, and a fine view of sailboats bobbing in the water. You could tackle two islands in two daytrips—Anacapa, say, then Santa Cruz. But to really fall in love with the Channel Islands, we think you need to camp on one of them overnight. Take the Islands Packer boat out to Santa Cruz’ Scorpion Ranch Campground and stay one or two nights. Or take their boat to Santa Rosa and camp at Water Canyon Campground—note that less frequent sailings may require that you camp for two nights.